1. You find yourself buying ridiculous items for your Bulldog that you once swore on your life you wouldn’t lay a hand on. And if your husband has more willpower than you and won’t let you, you have multiple websites booked with perfect presents for her first birthday dog party. 2. 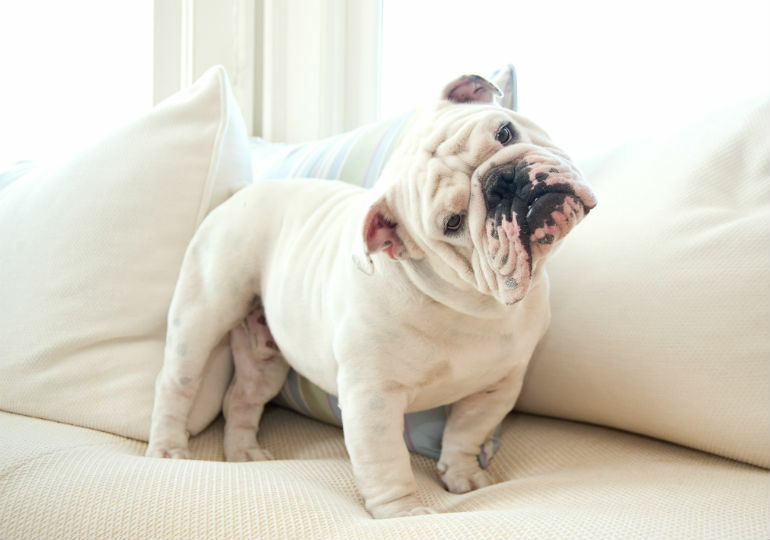 You rearrange furniture for the Bulldog. More open space means fewer broken lamps and airborn drinks launched. 3-You’ve given up on decorating your bed because you keep a permanent “dog blanket” on top of everything. Guilty. 5-When that sad, sad, puppy dog does whimper, you’ve learned to deciper her noises. Things like, “no honey, she’s moaning because she’s hungry,” “no honey, she just wants you to take her on a walk,” “no honey, she just wants to play,” “no honey, she really DOES need to go potty”. 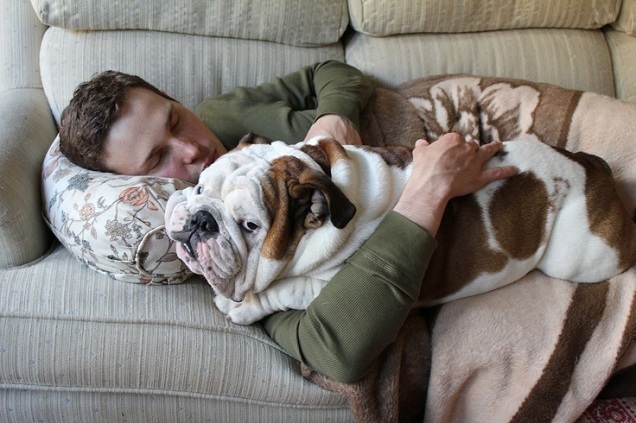 6-Before you have guests over to your house, the first order of business is hiding any evidence of Bulldog hair for fear of being “those dog people.”And lighting a candle. In every room. 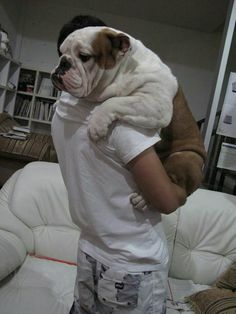 7-You’ve given up on caring for your hardwood floors, for they are no match to the slobbery jowls of a thirsty Bulldog. I speak not from personal experience. But I will say, it’s a pure act of God that a trail of water can make it from her water bowl in the dining room, all the way through the living room, past the front door, and into our bedroom. 8-You no longer have any privacy. Anywhere. 9-You spend more money on a bag of dog food and a bag of treats than you do a week of groceries for you and your husband. 10-You no longer care about your rugs, because all the corners have been chewed off.